With the after school and evenings often being quite busy, I love meals that an be prepped ahead and heated up when ready to eat. A big pot of Mexican Rice and a make-your-own-burrito-bar is just that kind a weekday win! It’s a make-ahead meal that’s adaptable to tastes and a total crowd-pleaser! My husband often choose to make a real burrito in a wrap, the boys usually opt for rice with grilled chicken, and this is my plate of choice. 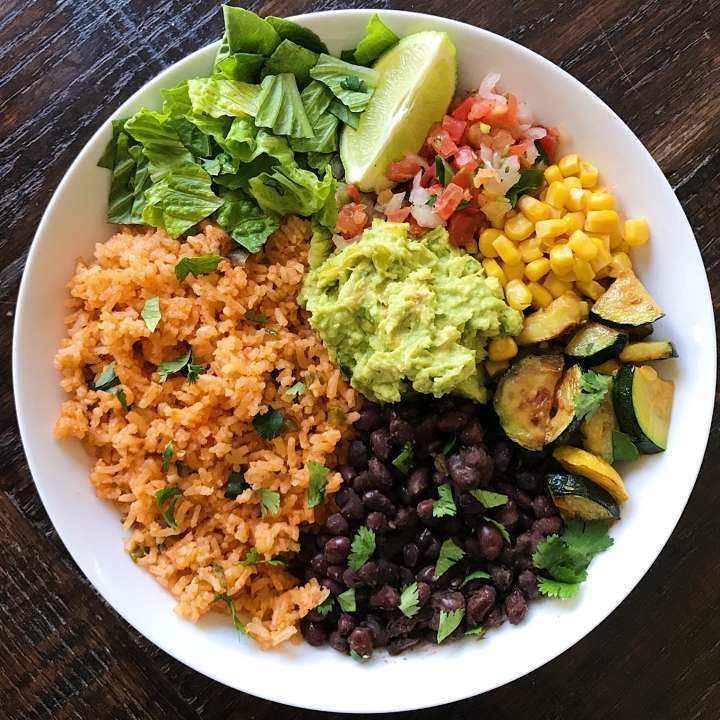 Mexican Rice (recipe adapted from Test Kitchen ),Quick Simmered Black Beans (recipe from @minimalistbaker), Guacamole, Roasted Zucchini & Squash, chopped Green Leaf Lettuce and Pico de Gallo. One of the reasons we love this meal so much is the Mexican Rice — it is the star of the meal for us. Recipe adapted from Test Kitchen, we literally make it several times a month. It’s super easy to make and makes a large quantity. 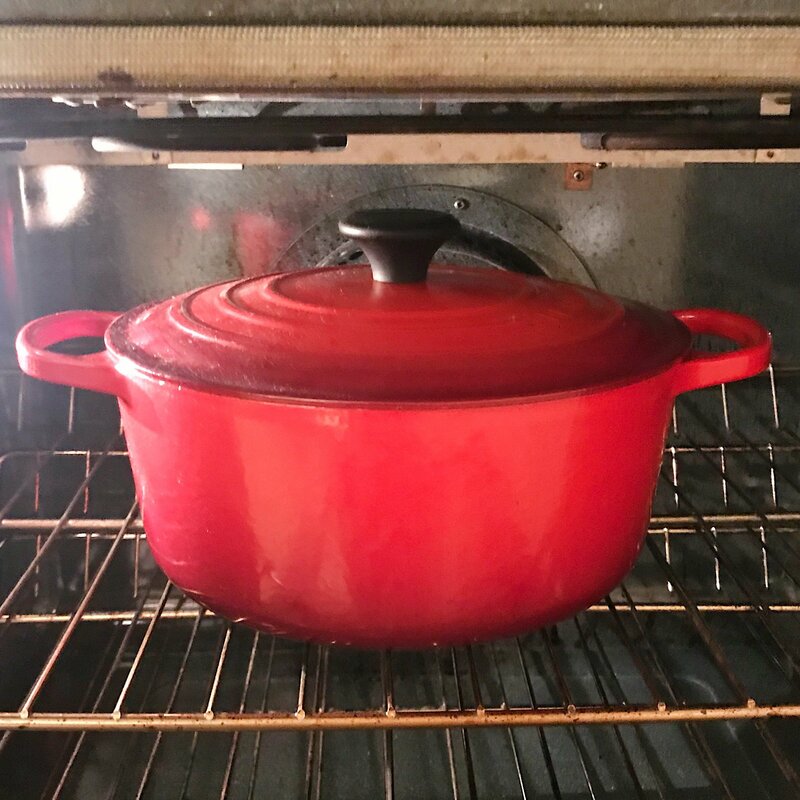 It’s made with fresh tomatoes, onions, canola oil, garlic, jalapeno (can use as much or as little as you want — see below), vegetable broth, tomato paste and salt. And it starts on the stove top when everything is blended, seasoned and starts cooking. Then moves to the oven for 30 minutes. It reheats well so it’s a great dish to make ahead or to make even as part of meal prep. The entire meal is super easy, nourishing and satisfying! Scroll down for the recipes and leave a comment if you try. A simple hearty bowl for that's always a crowd pleaser. 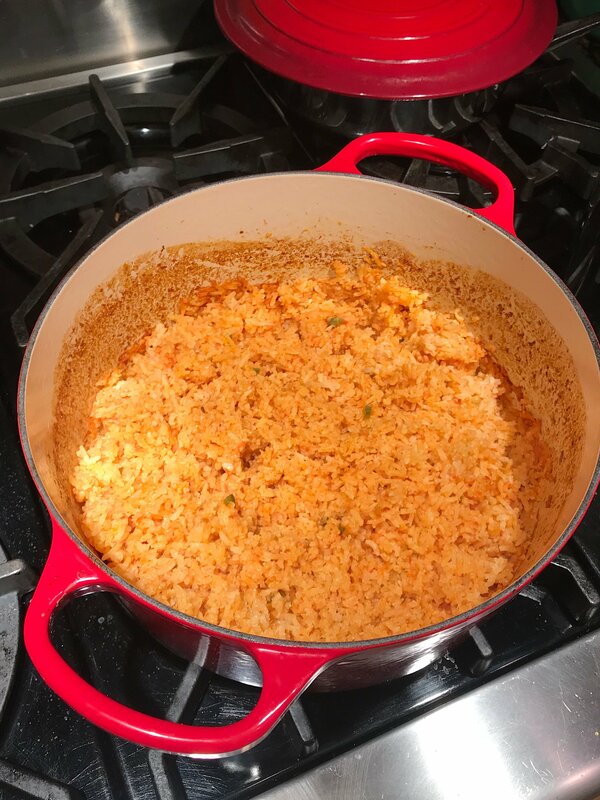 Two of our favorites, Mexican Rice adapted from Test Kitchen. Quick Simmered Black Beans from Minimalist Baker + all the fixings: Guacamole, Pico de gallo, chopped romaine, corn and roasted veggies. You could add or substitute grilled or sautéed chicken for the roasted veggies. Place tomatoes and onion in a food processor and pulse until smooth. Transfer liquid to a 4 cup measuring cup and spoon off excess as needed to get to 2 cups. Heat oil in a Dutch oven over medium high heat for 1 to 2 minutes. Drop a few grains of rice into the oil. If the grain sizzles, oil is ready. Add rice and cook, stirring frequently until rice is a light golden & translucent, about 6-8 minutes. Reduce heat to medium. Add garlic & seeded jalapeño and cook, stirring constantly for about 1 minute. 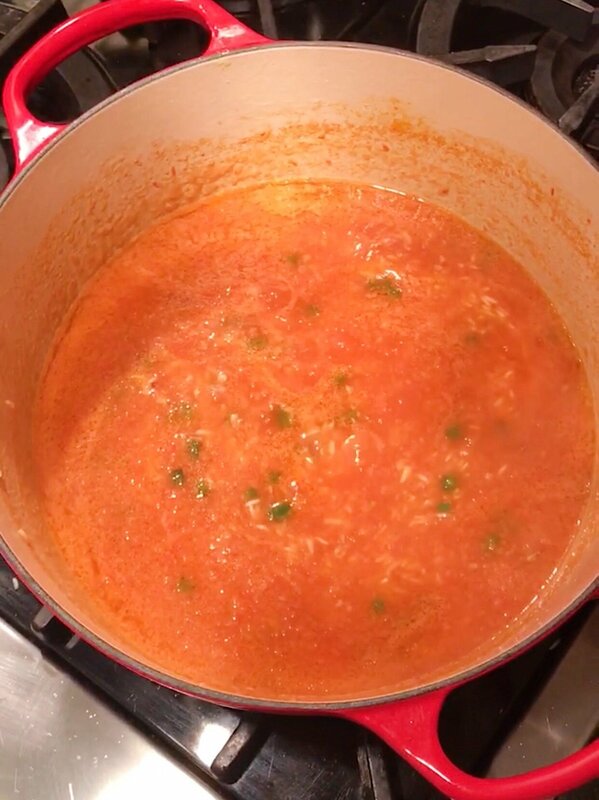 Add in tomato-onion mixture, broth, tomato paste and salt. Bring to a boil. Cover and transfer pot to the oven. Bake for 30-35 minutes, stirring once at 15 minutes. Liquid will absorb and rice will be tender. Remove from oven, fold in cilantro and final jalapeño (if using) to taste. Only one person in my family likes the additional jalapeño so I leave it out to be added individually. Add beans including liquid to a small saucepan over medium heat. Stir in spices and bring to a simmer. Let cook for 10-15 minutes, longer if you have time, stirring occasionally. Toss vegetables in oil. Spread in a single layer on baking sheet. Sprinkle with salt to taste. Bake for 30 minutes or until tender and just crispy.